Can you grab you pose and head to BHI this week?? Hate short notice but our old house is available through next Thursday and...I forgot. Please grab your munchkins and your sweetheart and go to the Island. Could be super fun, all you need is food- Rest is there! I politely responded: HELL YEA! Thank you, that would be lovely. Every girl needs a souvenir and at this point I have enough airbrushed t- shirts... One of these little bags will do! LOOOVE!!! The place was full of great finds... I think Birds of a Feather Design needs a vacay home over here! Like a corporate retreat for um er... us! Love me some art and these oil marsh scenes are fab!!! Our agreed upon terms were up and it was time to leave the fab store... sob, sob. After explaining what a pay phone was and why the ear piece was attached to the base, Lindley decided to call for help. It was time to get back on the bikes! So far this has been the best Girls trip ever...Last night we took the golf cart out for an after dinner cruise around the Island. We were snuggled under blankets singing the soundtrack to Frozen. (to all the carts that passed us... you are welcome.) Last night all 4 of us slept in one bed. And even though I can't turn my head to the left this morning and I have a sharp pain in one of my ribs, it was worth it. I know my cool days are numbered but as of today I am the best Mommy ever. Jeff and Jackson are joining us Tuesday for the rest of vacay. Though that will be fun too, I can assure there will not be sing-a-longs in the golf cart. 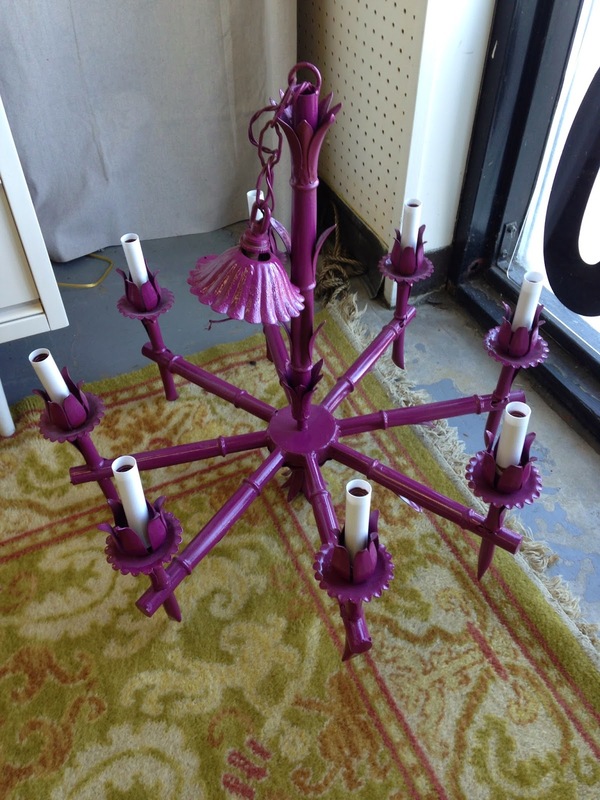 A bamboo chandelier -- I love it in this plum color, but it can be lacquered ANY color! 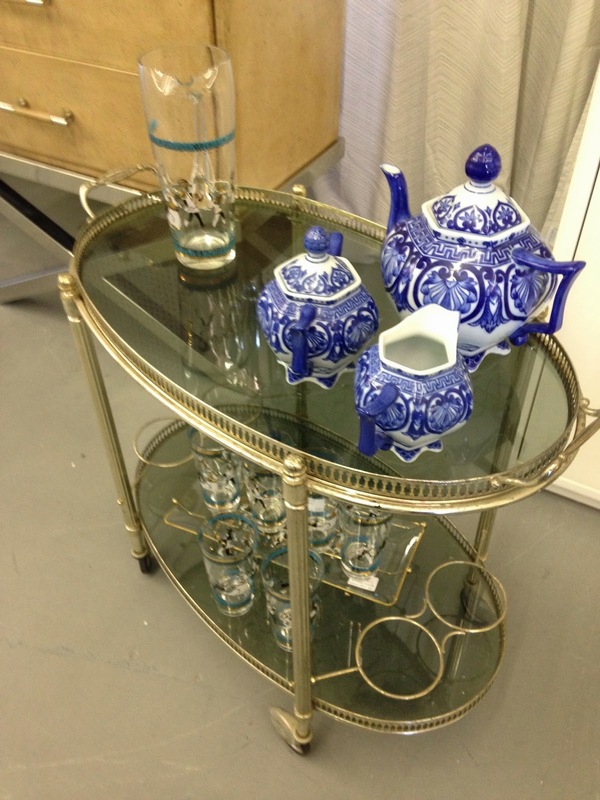 This beauty has sold, but we have tons of great accessories and a few more KILLER coffee tables. 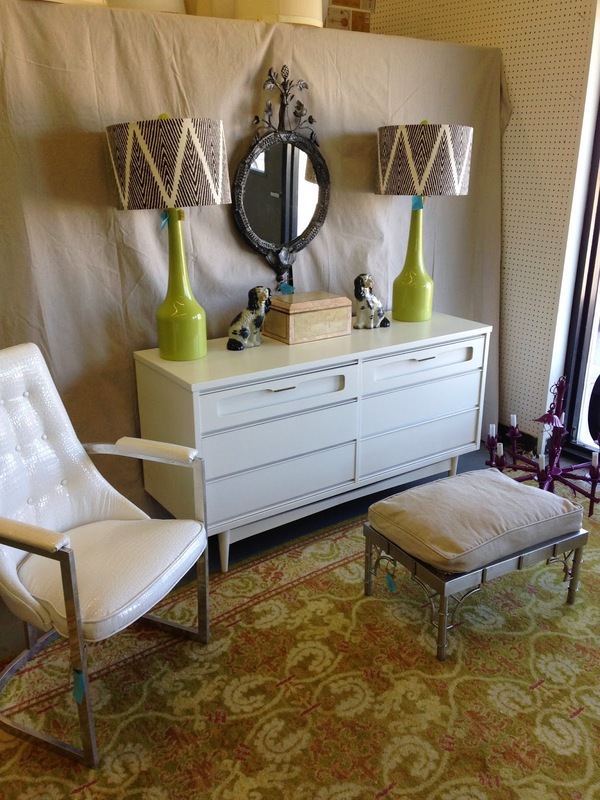 We have tons of fun occasional pieces, lamps and mirrors! In other news, we are seeing spots. 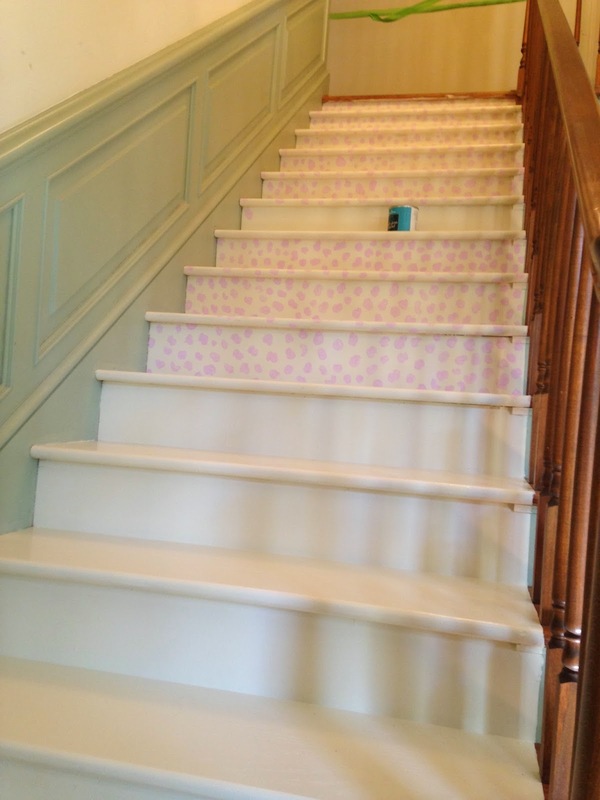 NO, we are NOT painting polka dots on the stairs of the Designer Showhouse. This is a leopard in the making. Ok, so it has a lilac spot or two mixed in with traditional colors (to be added). That's how we roll.... For now... 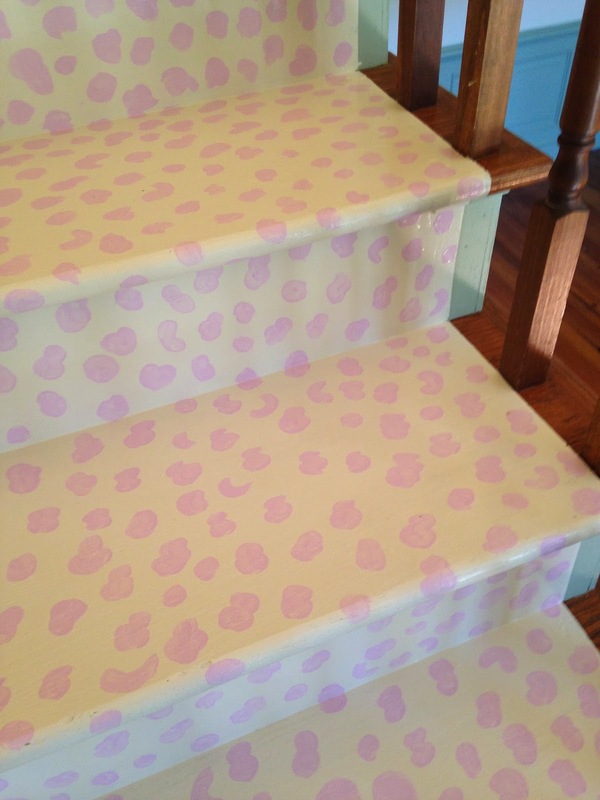 It's looking like the pink panther of stairwells. I am kind of diggin the thought of a current lighting solution but still having the practical fan. Our house is OLD and we need fans. I have fans in every room- yes, living room included (gasp- but without light...whew) I have lighting on the fans in our sun room and they have always bothered me. I was thinking taking this route. See the whole room here. So cool! I have been doing a little cleaning in the sun room previously known as the playroom. I am trying to reclaim the space and perhaps have an office for myself. I have drapes on the way and must do something to the fans! I of course will keep you posted! Soooo.... are you liking the drum shades? Or are you old school and hanging on to the take me to your leader globe? In other news... The Coop opened this week and y'all scored some of our great finds from Sunny Florida! Do not worry though, we have another batch of goods coming from the lacquer shop and we will open our doors for another "Hen Night In" very very soon so stay tuned! 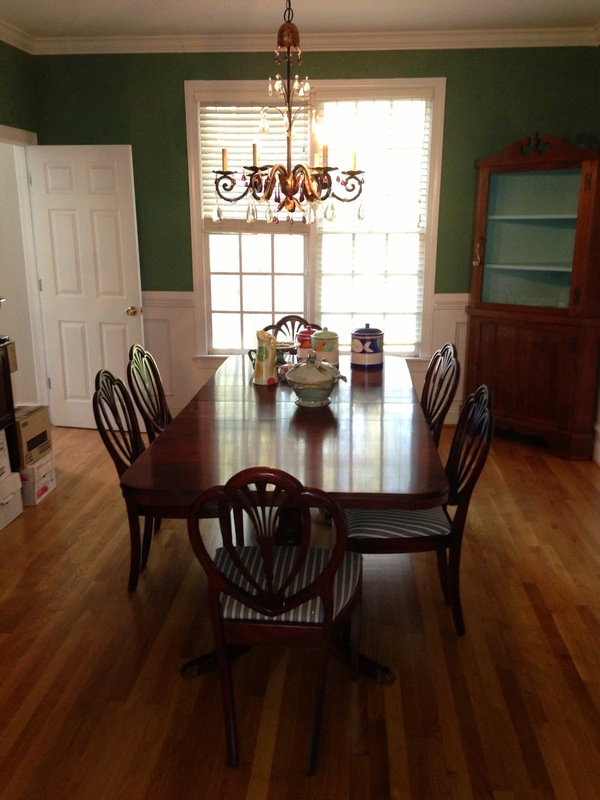 Living and Dining... a Before and After! 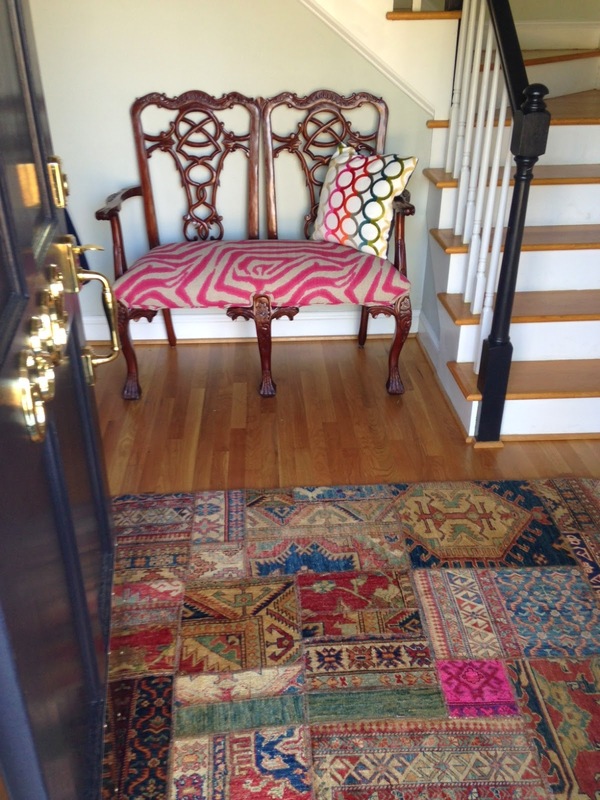 The rug adds a huge impact. I pushed her a little and we recovered the camel back in a turquoise crocodile pattern. 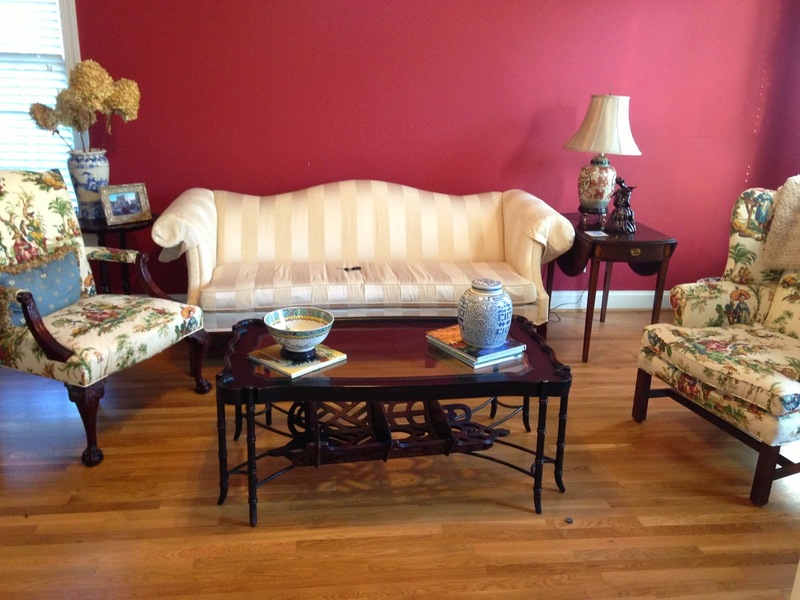 Recently, I got the chance to redo a living room. The client had two chairs covered in a Chinoiserie fabric and we used that as a jumping off point. She had good pieces, but they needed updating. Plus... the paint color was killing it. Have a look at the before...it went from drab to fab! 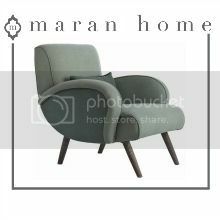 I spy a little white fretwork chair from The Coop! 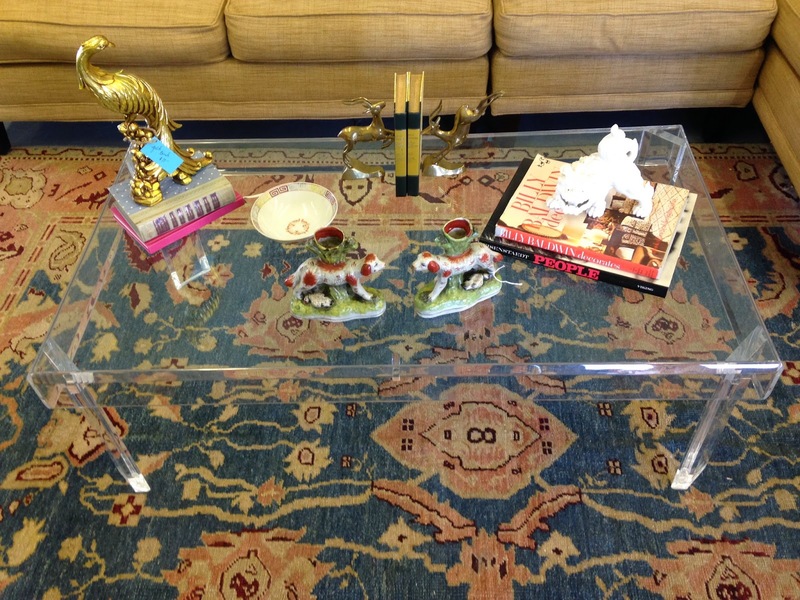 We kept her faux bamboo coffee table and end tables because they were perfect in the space. I love to use blue and white as decorative elements and she had quite the collection. Her dining room needed to flow and she was up for wallpaper. I convinced her to do a zebra wallpaper with a pale blue ceiling. Love me some zebra. Oh and did I mention, it's metallic! 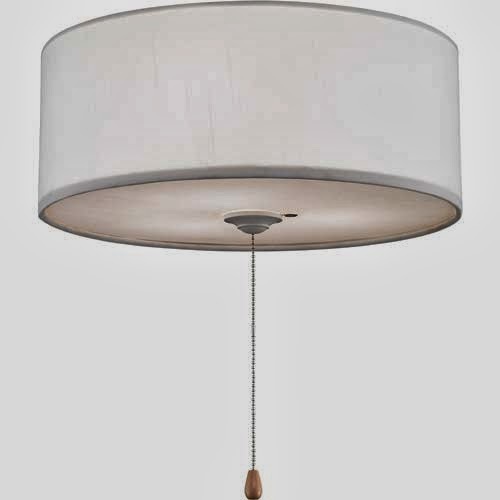 It has a silver/gold tone to it which worked beautifully with her chandelier. We kept her existing dining chairs and recovered the seats, added a pair of striking head chairs and a large Greek Key rug to ground the space. I simply adore her chandelier. She wanted to get rid of it. It has amethyst and crystal drops and I loved the unexpected touch of plum. Once we changed out the bulbs, it got a new quick facelift and she was convinced it was right for the space. The gold linen drapes are ready-made drapes and we added a band of fabric for major interest. She painted the inside of her china cabinet a dark teal to make the china pop against the background. 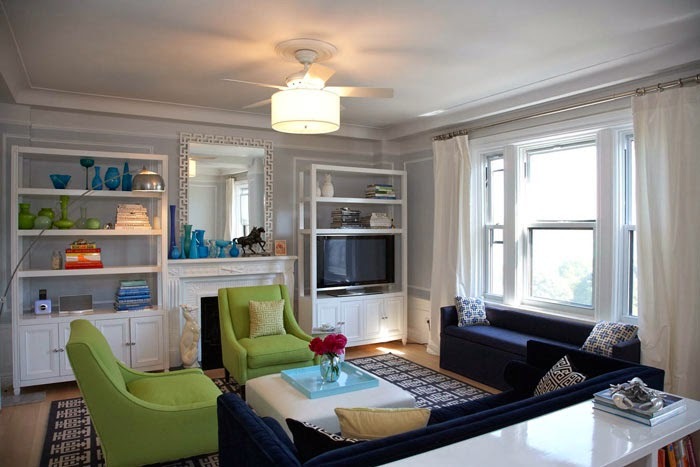 We made some major changes with walls and furniture, but the client was willing to take risks and that makes all of the difference in a transformed space. We even did a little makeover in her entry so it would flow with the rest of house. Welcome home! The Coop is Open TODAY! 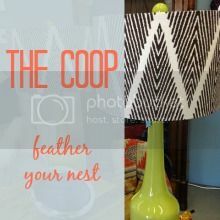 We just had some fab finds fly into the Coop! Some of our loot from Florida is freshly lacquered and filling up the Coop. Stop by today (Tuesday, March 18) and see us from 9 am-2 pm. We will be there pricing our new items at fab prices and would love a visit! You need to see this pair of Asian chests. They are HUGE and absolutely stunning. This Greek Key mirror would be a show stopper over a dresser, buffet or in an entry. 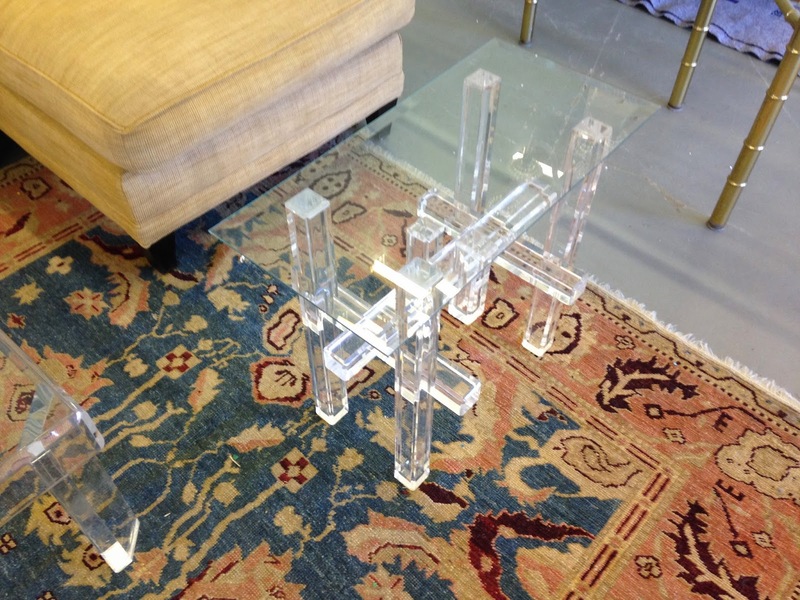 Imagine the possibilities with this chair. 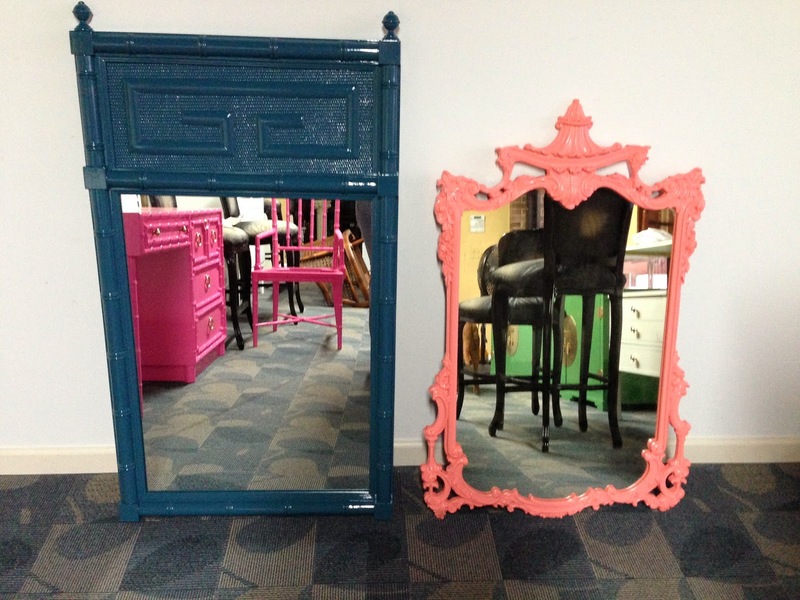 It's mate sold, but it would be ultra-fab lacquered in a fun color and reupholstered in a bold print! We have a set of 6 of these brass vintage bamboo chairs. 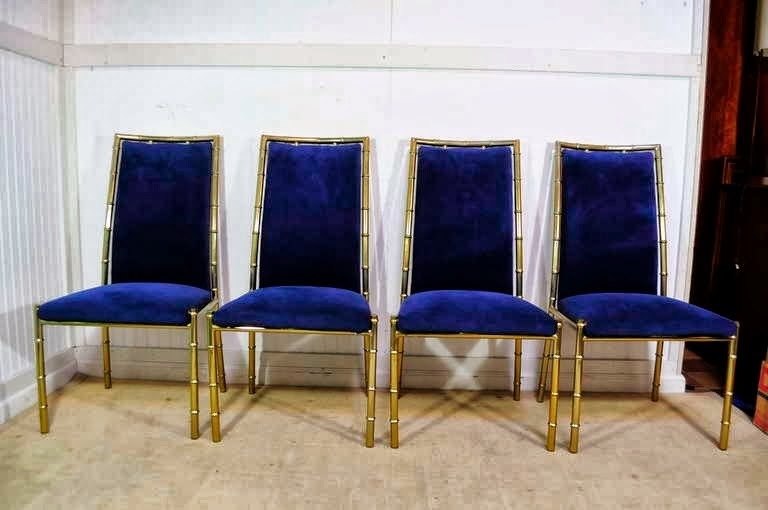 A set of 4 just sold on 1st Dibs for $2500! 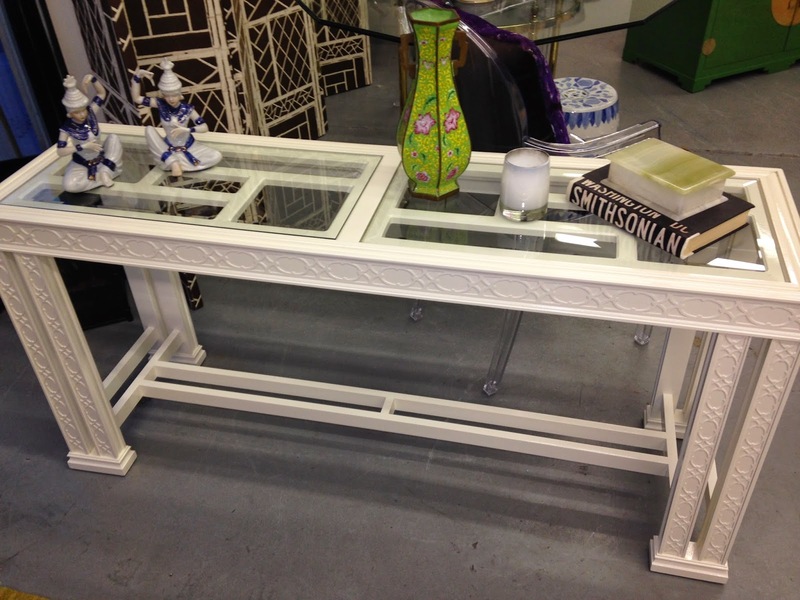 We can have our set recovered in the fabric of your choice and the price is a steal! 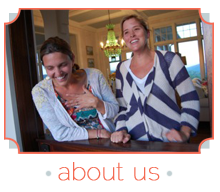 Stop by today and visit us (oh and shop a little too)! 1930 Oleander Drive (red "barn" just after the train tracks), Suite B (side right door). We will see you today! Weekend Recap and Happy St. Paddy's Day! Crazy, wonderful, wild weekend. To start... my cousin got married! 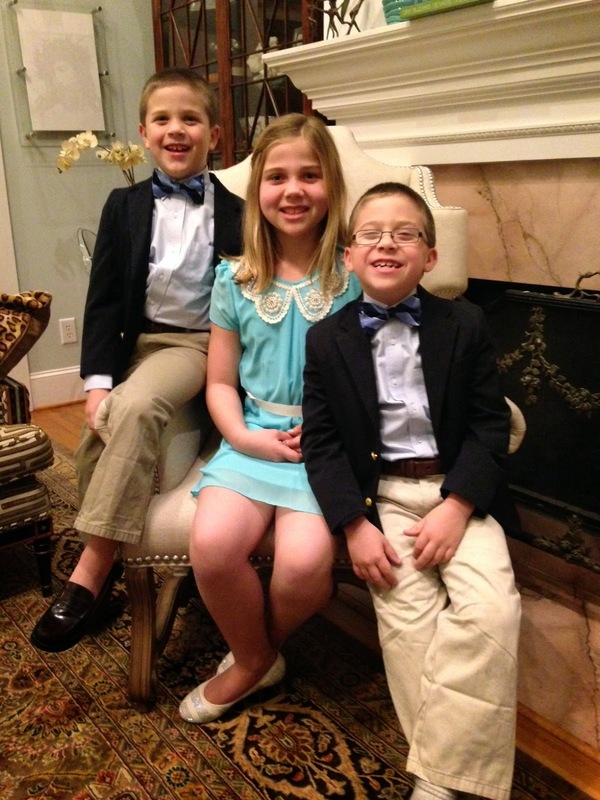 It was a beautiful wedding and the kids had a blast! They pranced around at all of the festivities in their wedding clothes. I couldn't get over how grown up they looked! 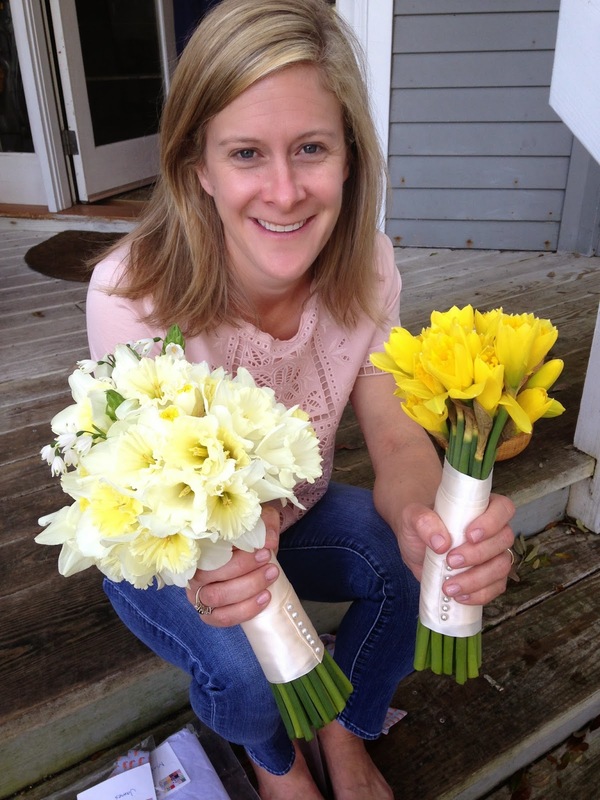 The bride was stunning and so happy -- Graham and I spent Saturday morning with the bride making bouquets out of daffodils - a personal fave. The bride owns Margaret Turner Designs and makes beautiful scarves (and evidently bow ties) out of custom fabrics designed with shells she finds at the beach. 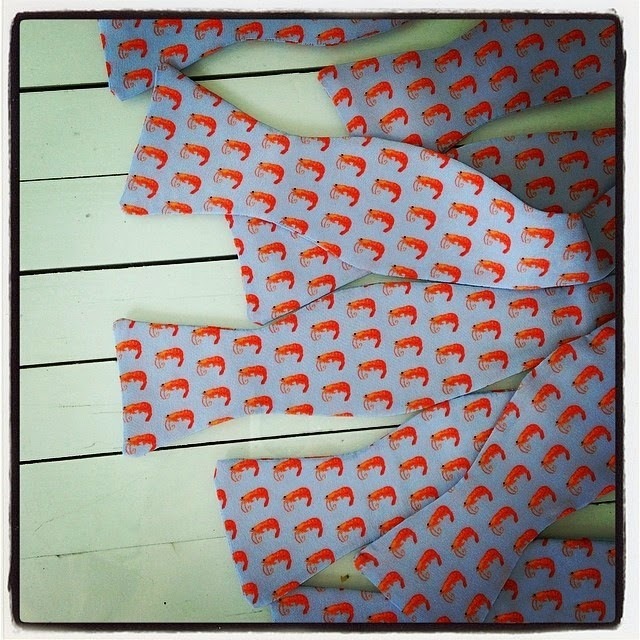 I love the bow ties she made for the groomsmen --- So sweet and the perfect personal touch! 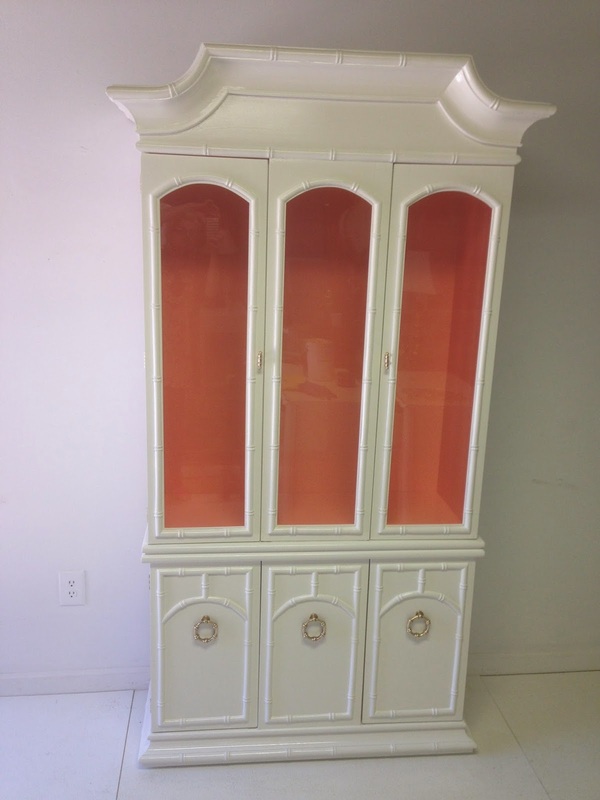 This pagoda china cabinet is SOLD! A lucky girl scored this beauty for her dining room. This pair of Asian chests are quite large and would make a big impact in a living room, bedroom or pushed together in a dining room. They are in excellent condition and FOR SALE!!! 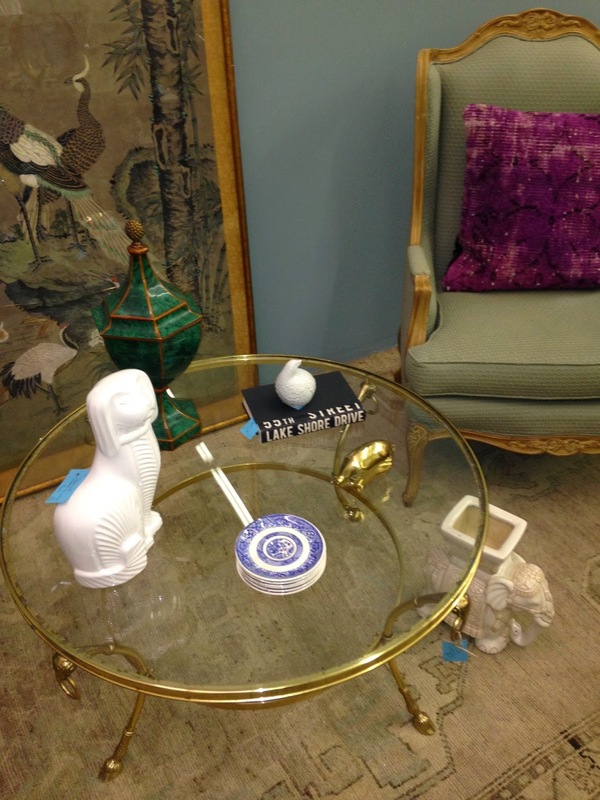 I spy a very HOT pink desk and bamboo chair -- yes, SOLD...To a daring client for her little girl's room. 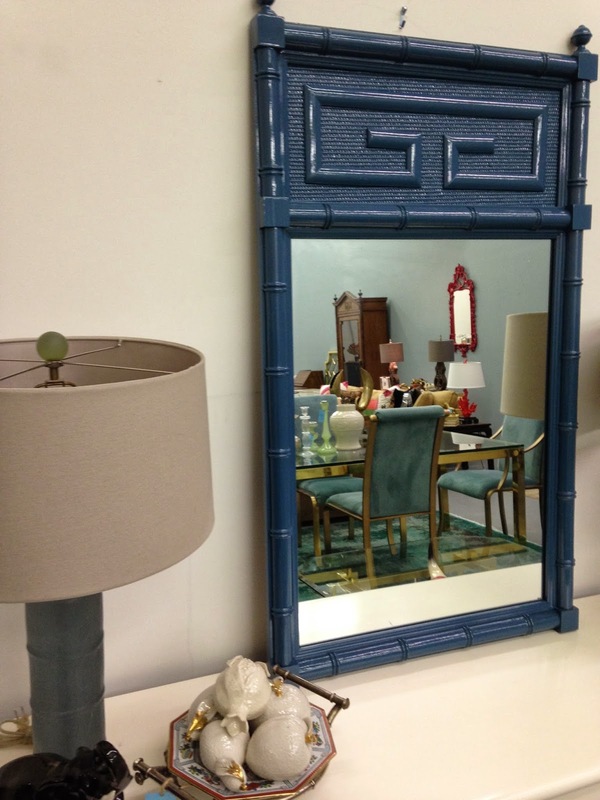 The Greek key mirror and the coral pagoda are still available and stunning. 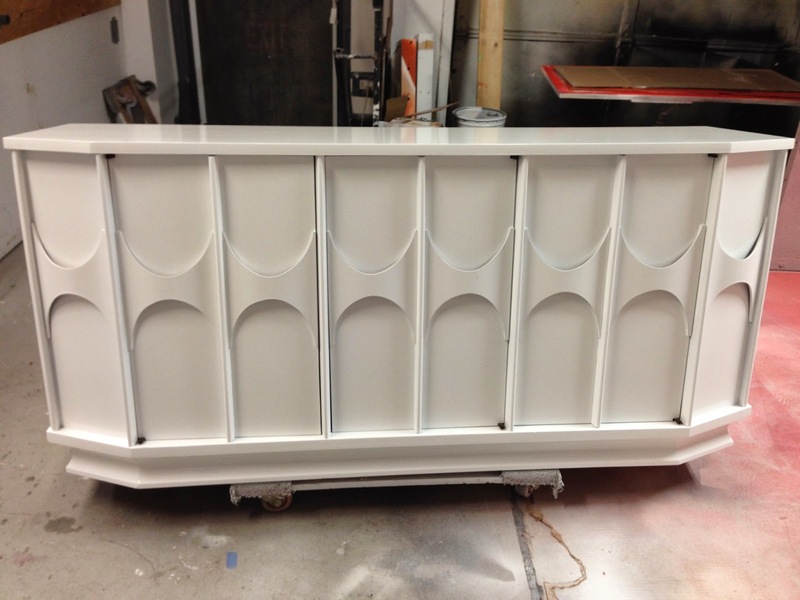 We are loving how this mid-century buffet looks lacquered in white. What a statement it will make -- SOLD! 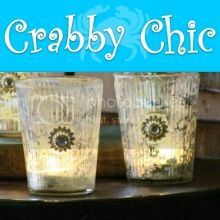 Stay tuned for more fab finds and our next big sale at the Coop, coming soon. Oh, and Happy St. Paddy's Day. While I was making bouquets, Read was making a leprechaun trap. 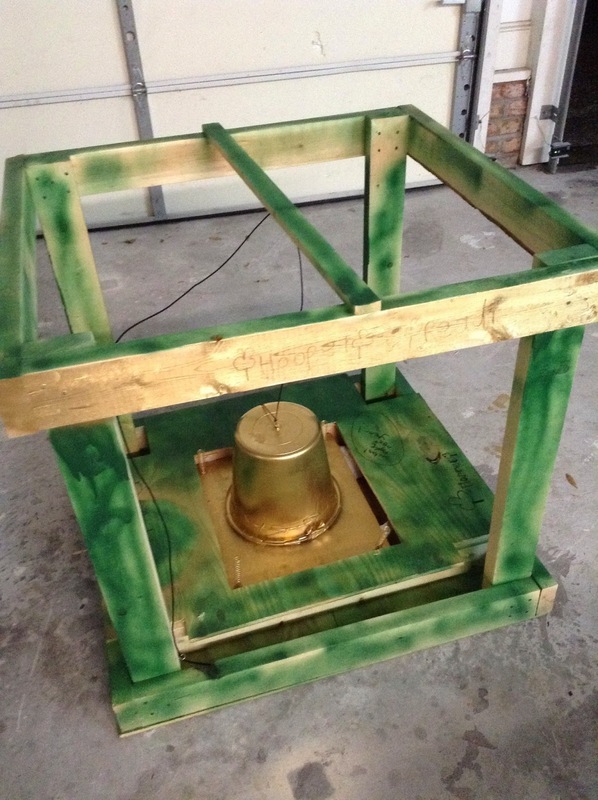 Yes, either we are going to catch the world's largest leprechaun OR a whole slew of them. Parts of my garage are now green and gold, so we can celebrate all year. Never. Let. Kids. Spray. Paint.